Photo by Rob Jones. 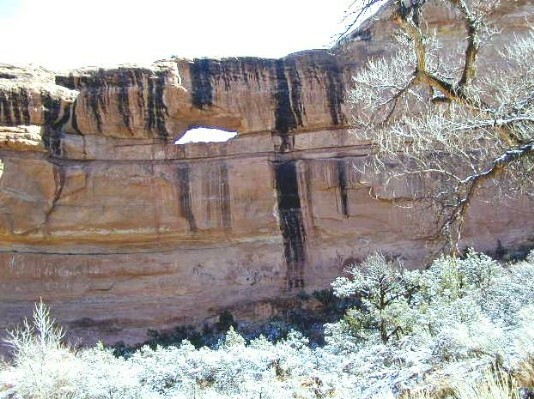 The arch has a span of 20 ft. and an opening height of 6 ft. It is located about 3 3/4 miles down Grand Gulch from the Kane Gulch Ranger Station.